Dr. Green is passionate about dentistry. He has an unquenchable thirst for education, as evidenced by his thousands of hours of continuing education. 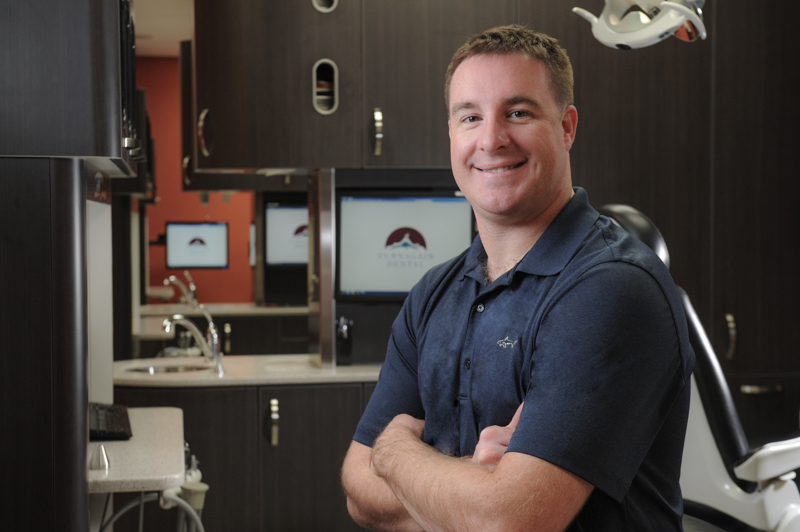 His commitment to his patients is the cornerstone to his Anchorage dental practice. Dr. Green is excited to partner with you for a lifetime of oral health. Originally from Colorado, Dr. Green attended multiple colleges and universities before earning his dental degree. After completion of his Doctor of Dental Surgery degree, Dr. Green served in the United States Navy. He completed a residency in Advanced Education in General Dentistry (A.E.G.D.) with the United States Navy and then spent four years stationed with the United States Marine Corps in 29 Palms, California. Dr. Green, along with his wife and four children, are thrilled to call Alaska home. They are always excited to explore all that Alaska has to offer!